It’s not often you become family with your heroes, but when you do, it’s undoubtedly an incredible and memorable moment. 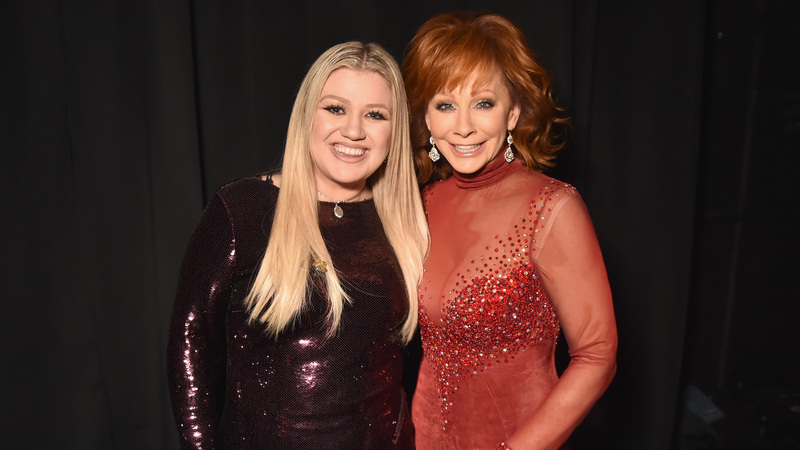 At least that’s the sense we get when we watch the latest footage of Kelly Clarkson’s Kennedy Center Honors tribute for Reba McEntire because not only is McEntire Clarkson’s mother-in-law (Clarkson married McEntire’s former stepson, Brandon Blackstock, in 2013) but one of her idols too. Clarkson and McEntire have performed together several times throughout the years, including at this year’s Academy of Country Music Awards. They even went on tour in 2008, five years before Clarkson and Blackstock married. He is the son of Narvel Blackstock, whom McEntire married in 1989 and divorced in 2015. Clearly, that hasn’t changed her family status in the eyes of Clarkson, her husband or their kids, which is wonderful. I love you all for standing up for me!!!! McEntire was among eight Kennedy Center honorees this year, including Cher, Philip Glass, Wayne Shorter and the creative team behind Hamilton, including its star and Tony-winning composer/lyricist Lin-Manuel Miranda, Thomas Kail, Andy Blankenbuehler and Alex Lacamoire. In addition to Clarkson paying tribute to McEntire, so did Melissa Peterman, who played Barbra Jean on Reba, as well as Brooks & Dunn, Lady Antebellum and Kristin Chenoweth. Radio host Bobby Bones, who joins the reboot of Clarkson’s alma mater, American Idol, next season, also had a few words to say about the star’s massive impact throughout the years.